I offer treatments that can help to relieve long term chronic pain with massage and resisted stretches which are less invasive on muscle tissues and can mean quicker recovery. Sports massage focuses on particular issues and there are many forms. Some people advocate deep tissue massage that is massage using loads of force. It typically hurts and it’s not good in my opinion though some people like it. I work gently and affect the deep layers of muscle and joints. Swedish massage is as you would expect a more relaxing style of massage. Pilates improves posture, core muscles, pelvic floor, lower back pain and improves many conditions like MS and Sciatica. Pilates is for everyone but making that big leap into a class environment can be daunting. 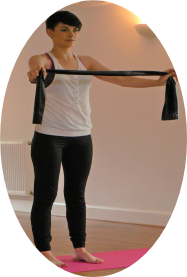 Having a 1 to 1 Pilates session is of a great benefit because of the attention to detail in correction of body movements. This means as your body starts to move correctly aches and pains will subside and then give you more confidence in joining a Pilates class. Sessions for small groups at your home are also possible but are priced individually. Thai massage is often regarded as “yoga” with help. 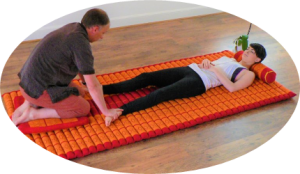 Combining a sequence of assisted stretches, acupressure and long strokes, it offers the chance to relax as the body is helped to open up and release tension throughout your body. Acupuncture can be included in either Sports or Swedish massages. If you prefer a male therapist please let me know. My partner is qualified in all the massages above and has additionally trained in advanced remedial massage techniques.